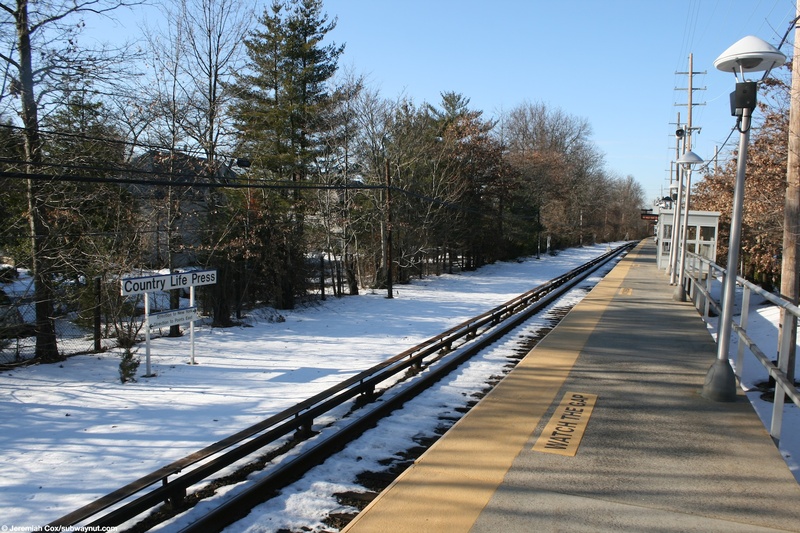 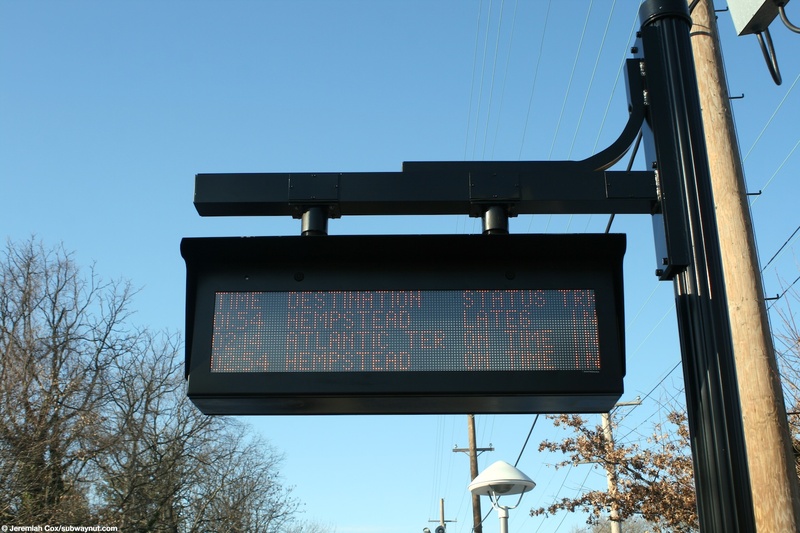 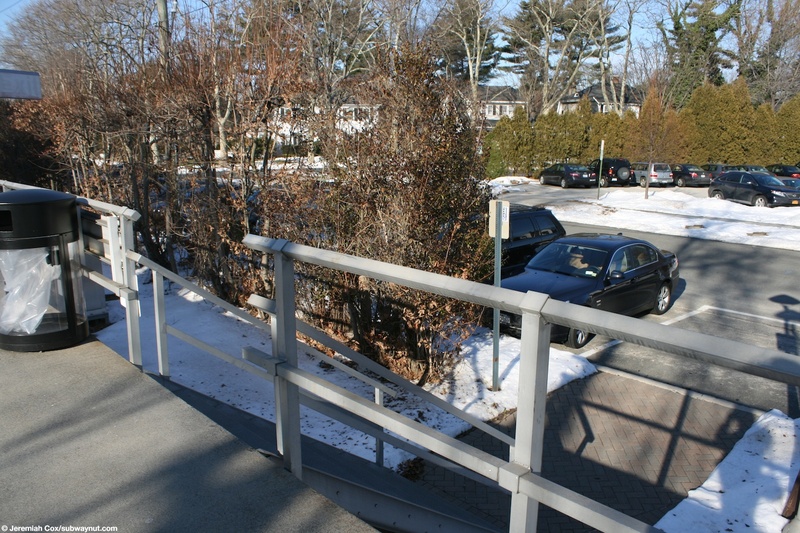 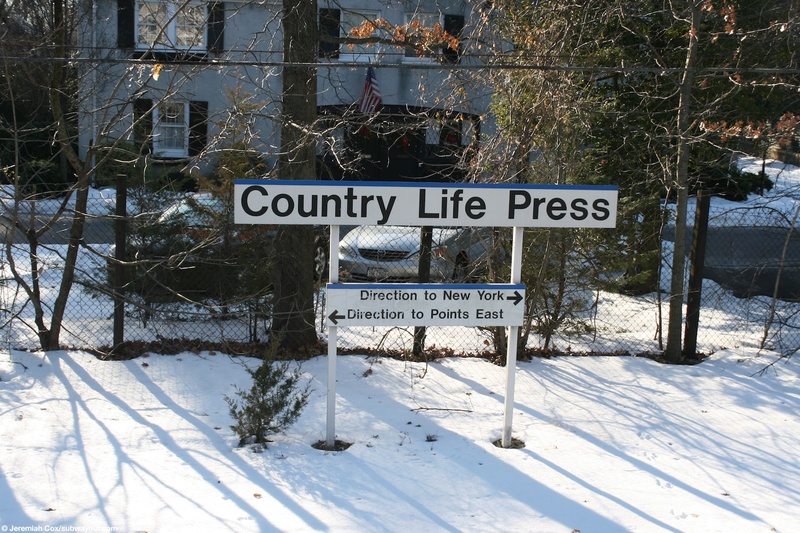 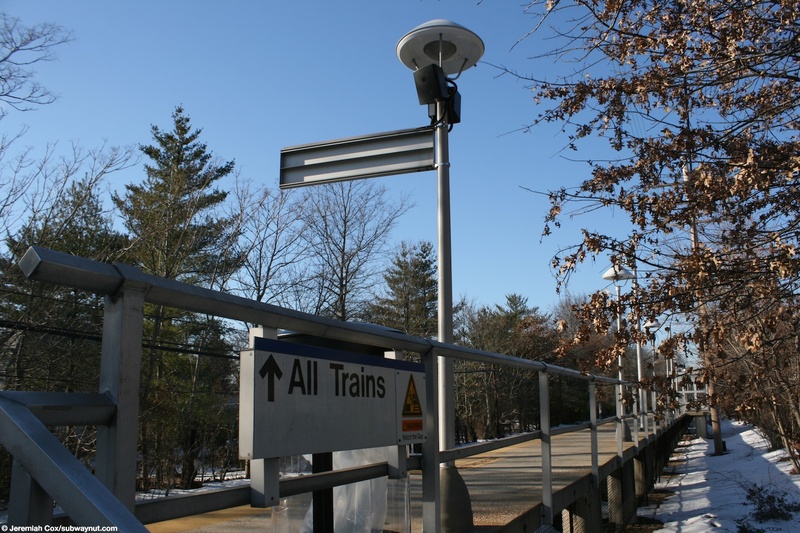 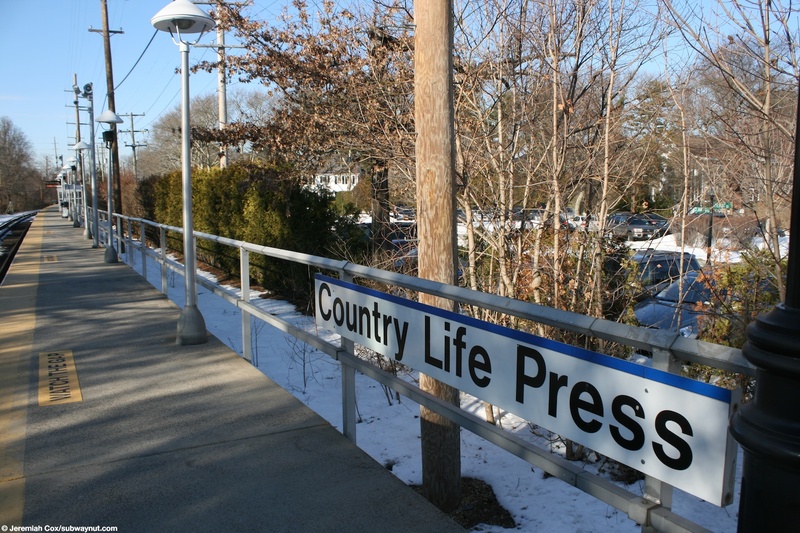 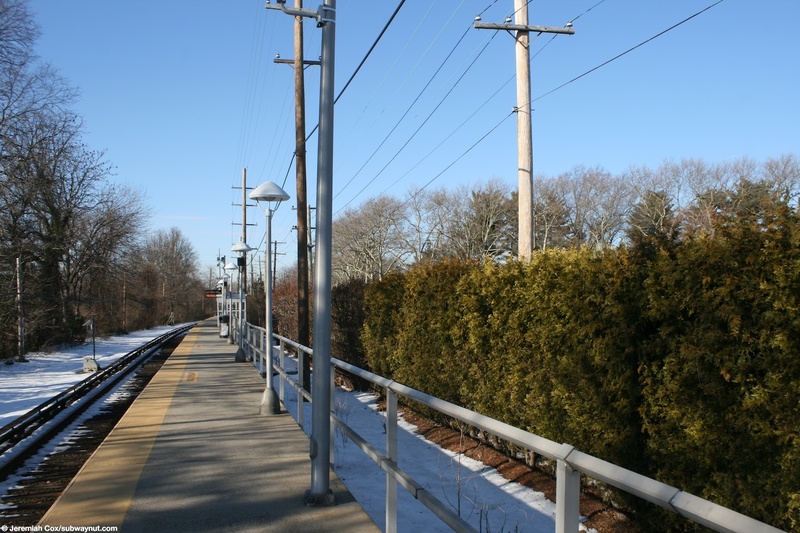 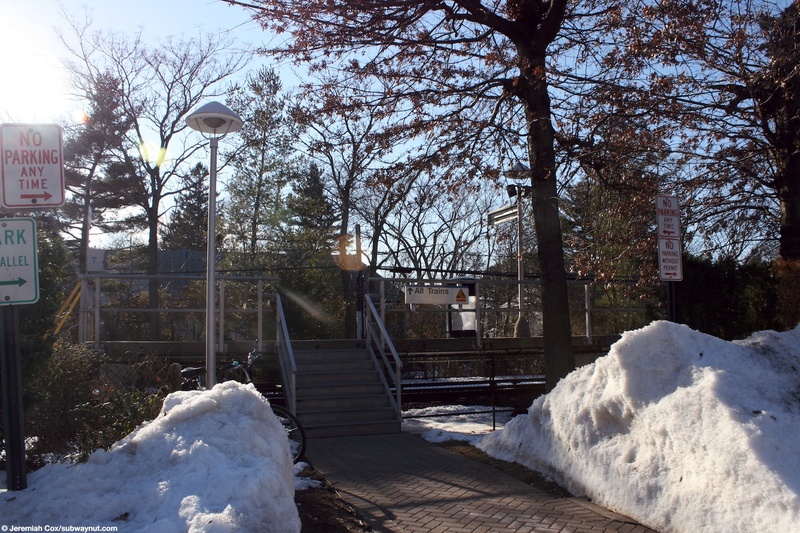 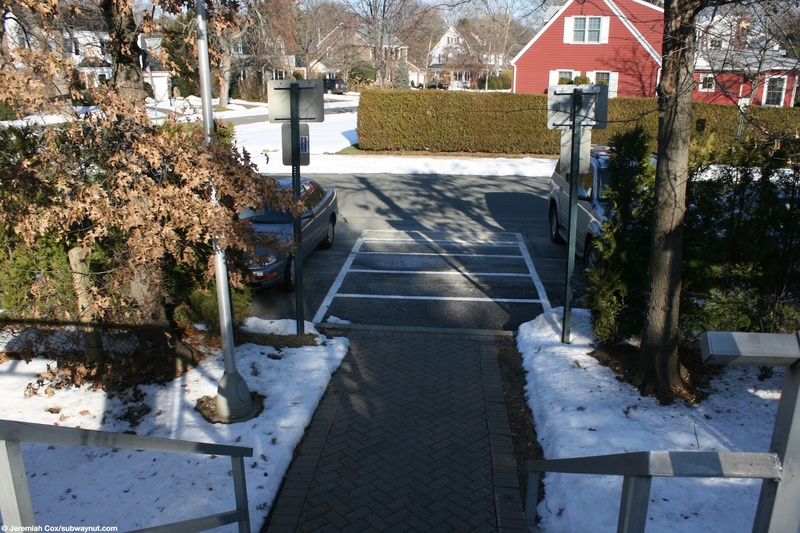 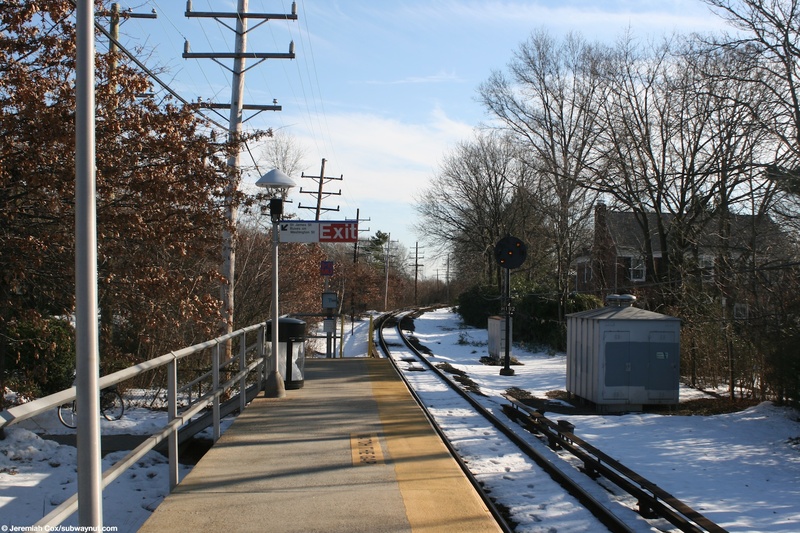 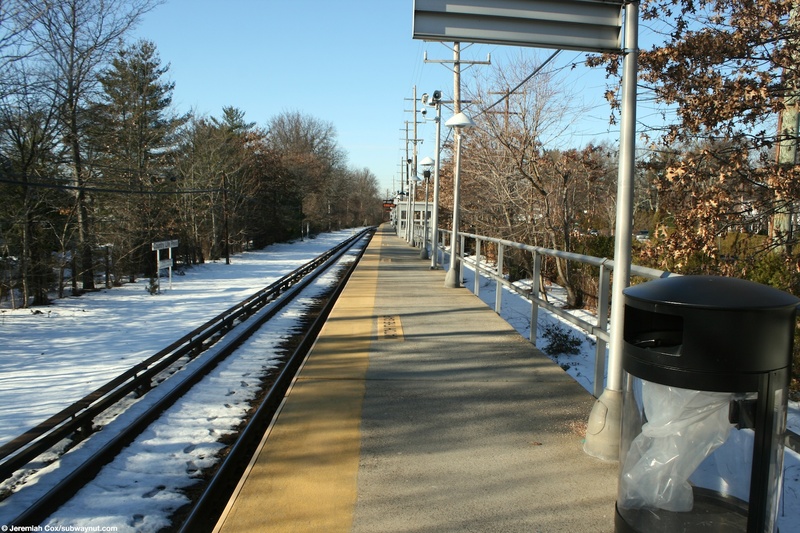 County Life Press is the only single tracked station on the entire Hempstead Branch. 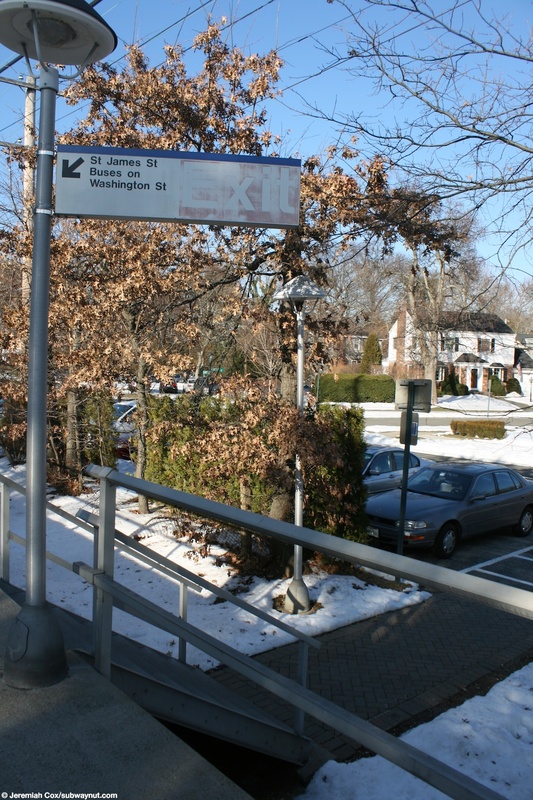 The station is located just after the line curves south leaving the Garden City Secondary on the same east-west route. 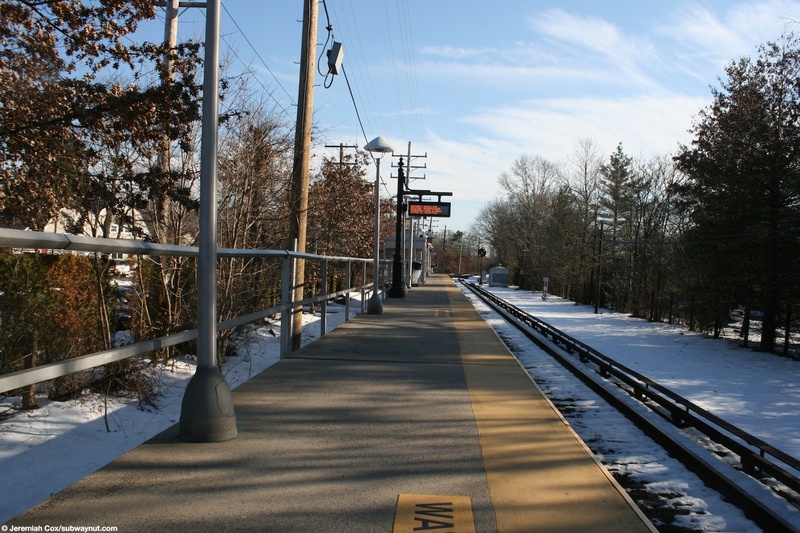 The stop is located at a grade with the single platform on the west side of the tracks along St. James Street but there are no nearby grade crossings. 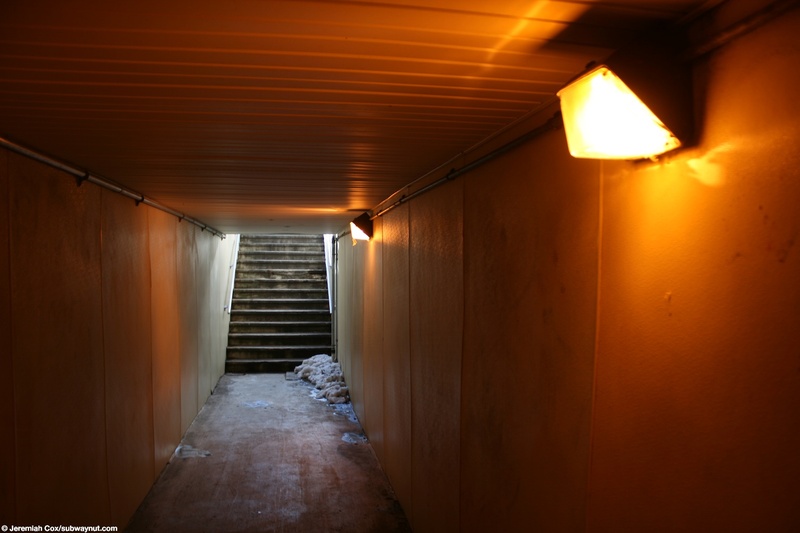 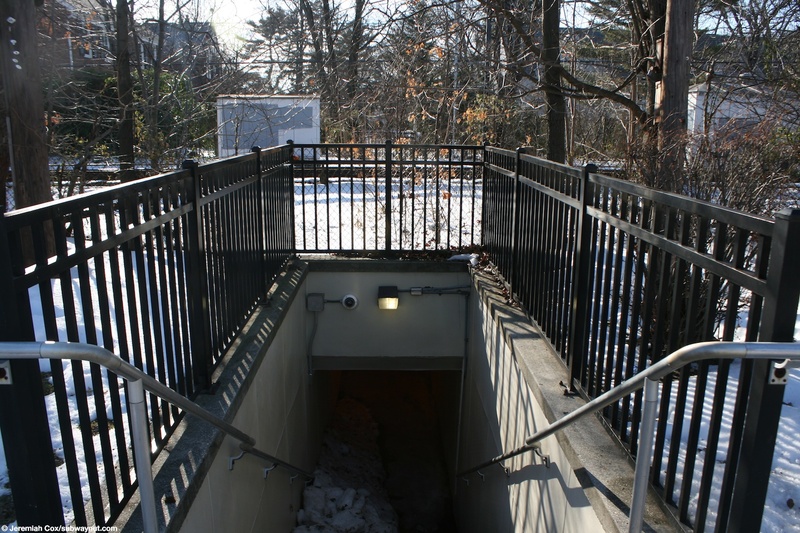 Chestnut Street dips beneath the tracks with only 6'11" clearance just north of the station. 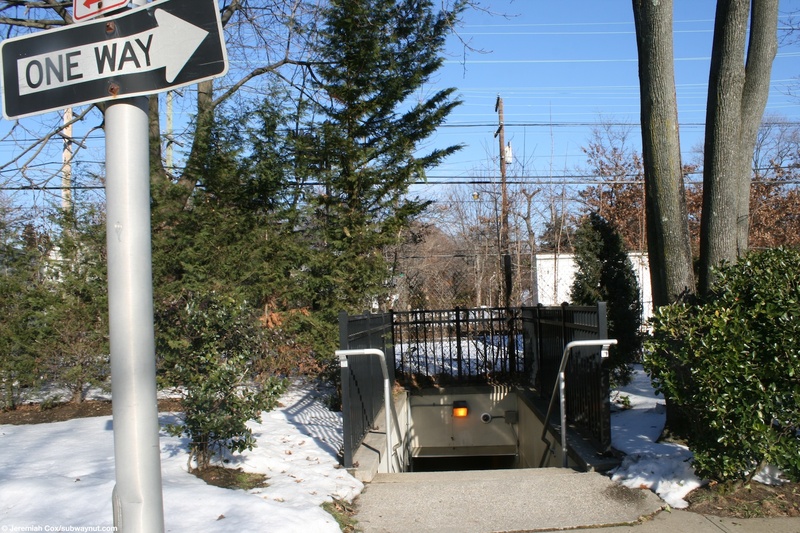 Just south of the platform there is a pedestrian underpass to Franklin Court and another suburban community. 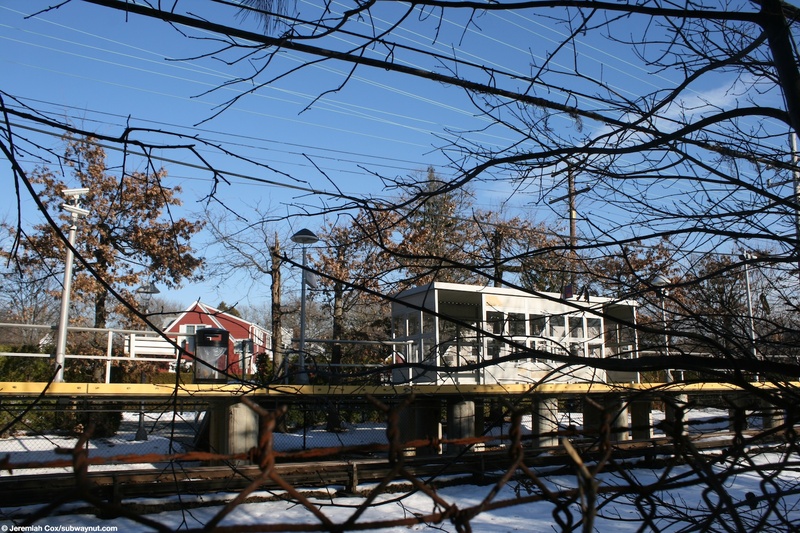 Just north of the high-level platform is original but shuttered shut station house still painted green with two green chimneys. 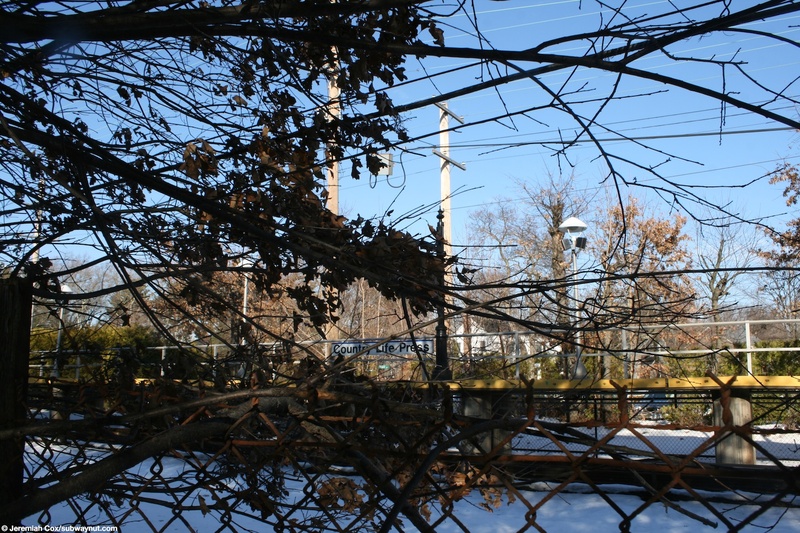 The abandoned right of way that is still intact of the West Hempstead Branch up to Mineola crosses the Hempstead line just north of the station, there is an abandoned red building there that is the tower. 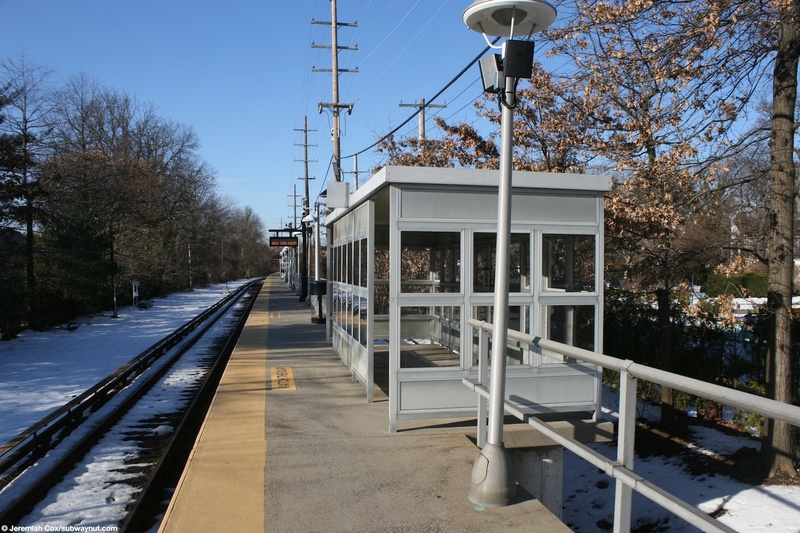 The only covered waiting areas on the platform are the standard silver with clear windows windscreen shelters. 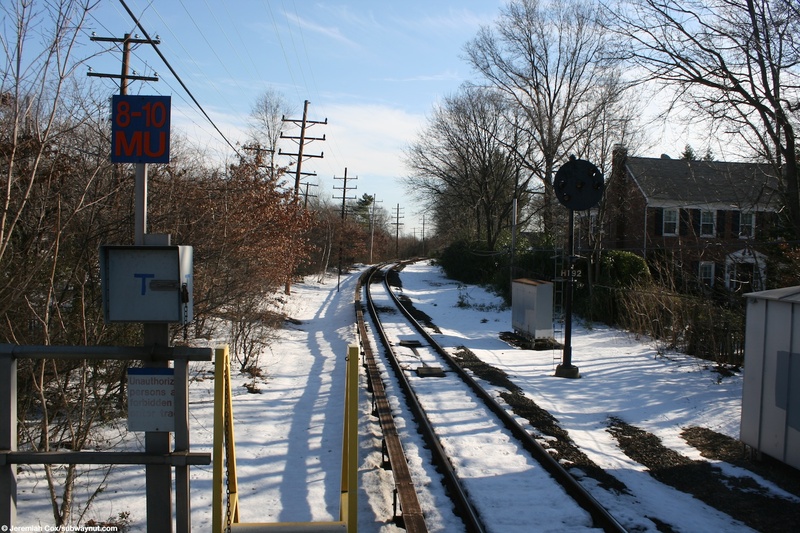 The stations two daily ticket TVMs are towards the northern end of the platform near the abandoned station house.